The weather forecast was not the best, but it is Winter and one needs to be out and about - I was determined to make the most of the day. A lateish (for me) breakfast at A Spot for Joe my favourite morning coffee haunt cafe and then off to Ballarat to visit my friends Pam and Meg at Fibrearts - Winter School. Felt is the focus for this series of classes and in true form Glenys Mann has assembled an excellent range of tutors. These two ladies are my most long standing partners in 'craft' crime and today is their half day/afternoon off - perfect for me to catch up with them. 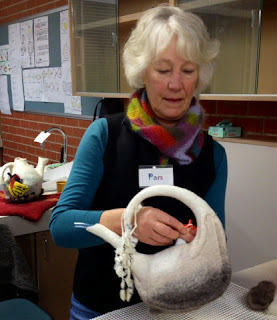 After my tour of all the classes, talking to the participants, many already known from other events and looking at all the fab work in progress I was a disappointed that I had not done a class. There is always next year. 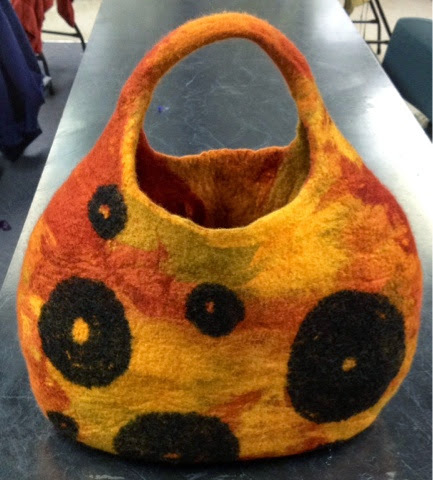 This is Meg's bag - not quite finished and she has a purse to come. 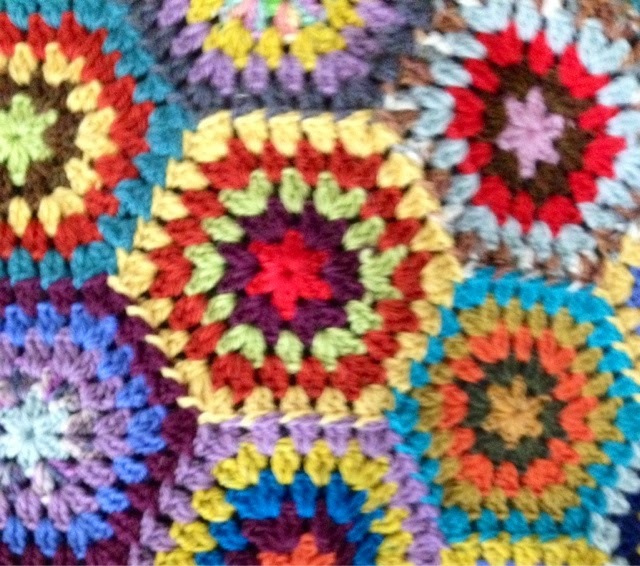 One of the Golden Team ( the ladies who make sure everything is running smoothly) was making this crochet hexagon rug. 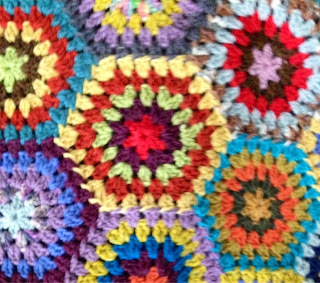 Very colourful and scrappy, it is a change from the traditional afghan or granny square. I still have plenty of wool in my stash and a passion for hexagons so will be making one of these. A little shopping from the traders on site and a visit to Gail's Patchwork Emporium before heading home.